Iron Maiden are about to launch their won comic book series entitled ‘Iron Maiden Legacy of The Beast’. 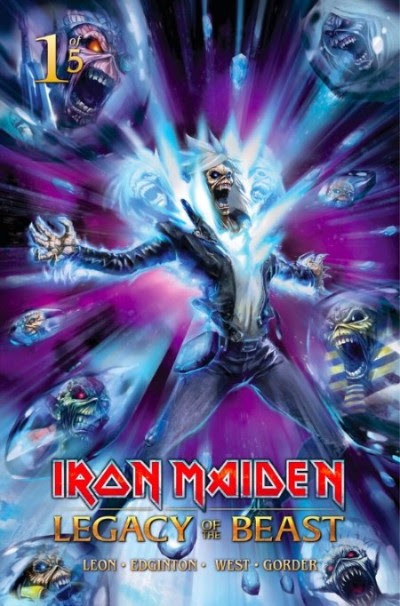 The series is based on their popular mobile role-playing game ‘ Iron Maiden: Legacy Of The Beast’ and it will focus on the band’s mascot Eddie as the main protagonist. The story has been written by Llexi Leon and Ian Edginton and illustrated by Kevin J. West, Jason Gorder, and Santi Casas. There will be five issues of the comic in total, the first of which is due to hit comic shops worldwide via Heavy Metal Publishing on 11th October 2017. This entry was posted on 2nd October 2017 at 8:09 pm and is filed under Metal, Misc., News with tags Comic book, Iron Maiden. You can follow any responses to this entry through the RSS 2.0 feed. You can leave a response, or trackback from your own site.